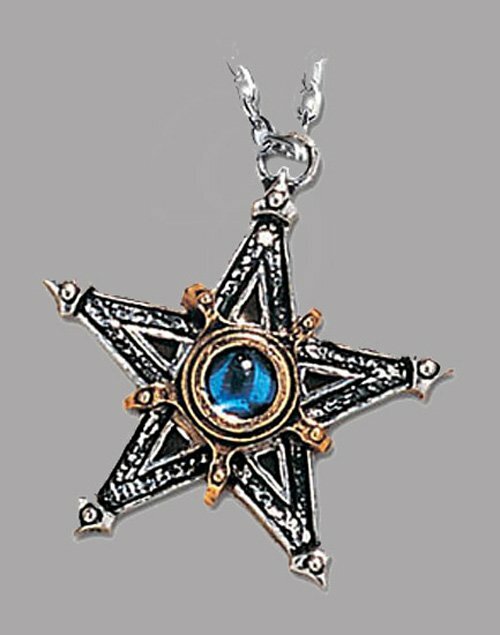 In the Middle ages, the most common sign to ward off demonic powers; gilt two-tone with blue cabochon Swarovski crystal. 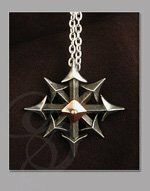 A Medieval Pentangle Gothic Pendant with Chain beautifully crafted. 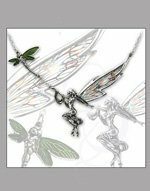 The pendant is made of the finest pewter and features a blue Cabochon crystal. 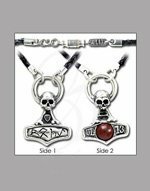 Approximately: (1.8x1.7x0.4 inches) 45mm high x 43mm wide x 9mm deep.